Why not a tax credit for homeownership? 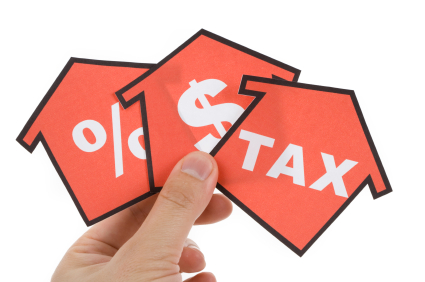 In part one of this article, we examined the types of reforms being proposed and the potential loss of the property tax deduction. Now we look at the mortgage interest deduction and the main issues with current proposed reforms. Neither the Ryan plan nor the Trump proposal eliminates the mortgage interest deduction. In fact, they both keep the MID visibly in place. However, if you look very carefully, the mortgage interest deduction will disappear for millions of homeowners. Here’s how the new MID rule will work if one of the current proposals passes. The standard deduction under the Trump proposal will be so large that most households will not itemize. Where is mortgage interest written off? On Schedule A, itemized deductions. If most taxpayers don’t use Schedule A they’re not taking the mortgage interest deduction. They can take the mortgage write-off in theory but in practice it will make more sense for most taxpayers to take the far-bigger standard deduction. Again, few people will take itemized deductions in such a scenario. One problem for real estate under the Ryan and Trump proposals would be the loss of write-offs worth more than $1 trillion over ten years, about $100 billion a year. But is this really a big problem? Do people buy homes specifically because of the benefits of the mortgage interest deduction? There are any number of other reasons including status and ego but surely tax write-offs are a big attraction. The Ryan and Trump plans strip away one of real estate’s most important selling points, the ability to lower housing costs through ownership tax deductions. Should such proposals pass a major distinction between ownership and renting will be largely gone. If that’s the case, owning will effectively be less enticing than in the past, a reality which will slow home sales. With fewer buyers in the market there will be less pressure to raise prices, less equity to refinance, plus with fewer transactions and lower values state and local tax coffers will be starved. All in all, not good news for the housing market.